During the past week, DreamOval’s CEO Derrydean Dadzie was awarded the Gold Award in ICT at the recently held National Youth Achievers Awards initiated by the President of the Republic of Ghana, H.E John Dramani Mahama. 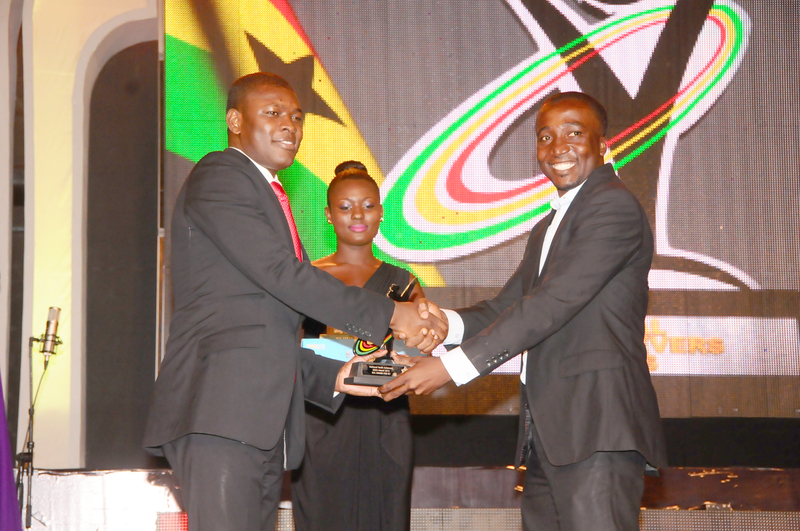 The award was presented to Mr. Dadzie by the CEO of RLG Mr. Roland Agambire. At the ceremony was the President of Ghana, H.E. John Dramani Mahama, government appointees, and heads of Institutions and Industry. Other award recipients included Jackie Appiah, Stephen Appiah, Sarkodie, Anas Aremeyaw Anas and other luminaries. Mr. Dadzie beat out the competition and received this award in respect of the many innovations this company has churned out over the past year. These include Ghana’s first online payments service (iWallet), Ghana’s first App Store (MobiBuddy), and now Ghana’s first online Domains Sale & Management Agency (Qikli). DreamOval has also been instrumental in leading the eCommerce revolution in Ghana by empowering businesses for online sales through iWallet. The award has been widely reported by the major news houses and television stations. We thank you our customers and patrons who support us in our endeavours to see an African Life Made Simple through technology.